...of Pope Francis! 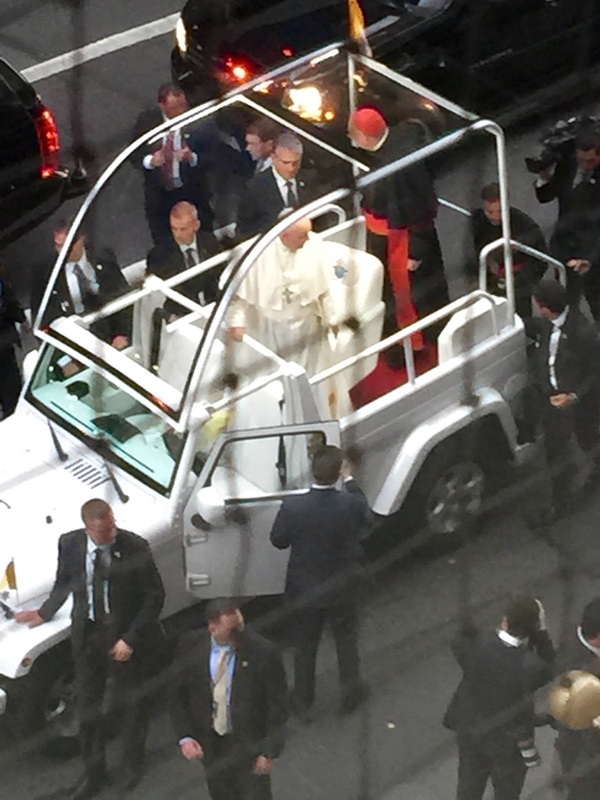 Stedsman, Joe Meares '10, was able to see Pope Francis not standing in the streets with masses of well wishers nor having a special ticket for a private audience. Instead, Joe, from his Wall Street office, was able to see the Pontiff as he arrived in New York after departing from D.C. On this amazing vantage point, Meares said, "I opened the window and saw Pope Francis! I took advantage of the moment and confessed all my Wall Street sins to Il Papa! Viva!"